In her new role, Ahrendts, who spent much of her professional career in the fashion industry, will have "oversight of the strategic direction, expansion and operation of both Apple retail and online stores," Apple said in a statement. She will start working at the company next spring. "I am thrilled that Angela will be joining our team," said CEO Tim Cook, to whom Ahrendts will report directly. "She shares our values and our focus on innovation, and she places the same strong emphasis as we do on the customer experience. She has shown herself to be an extraordinary leader throughout her career and has a proven track record." The "SVP of Retail and Online Stores" role is new to Apple's organizational chart, and appears to afford Ahrendts more control over the company's important Apple Store business than her predecessor John Browett had during his nine-month stint as SVP of Retail. Browett was ousted in October 2012 after a report surfaced claiming the former Dixons CEO made a series of administrative moves to boost margins at the expense of Apple Store employees and overall customer experience. Ahrendts has a long pedigree in corporate leadership spanning more than 20 years in the highly competitive fashion industry. 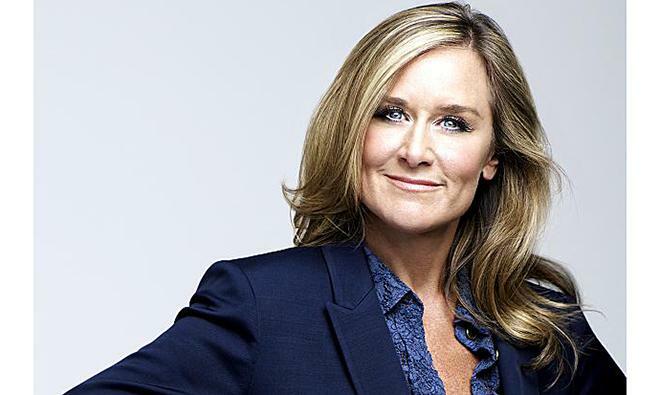 In 1989, at the age of 29, Ahrendts became president of Donna Karan International. She was then named to the executive board of Liz Claiborne in 1998 before joining Burberry as CEO in 2006. For her part, Ahrendts, who will be the only woman in a senior leadership position at Apple, said that she is "profoundly honored to join Apple in this newly created position next year, and very much look forward to working with the global teams to further enrich the consumer experience on and offline." "I have always admired the innovation and impact Apple products and services have on people's lives and hope in some small way I can help contribute to the company's continued success and leadership in changing the world," she said. Ahrendts is the second high-level executive from a major fashion house to be wooed away by Apple over the past few months. In July, the Cupertino, Calif., company brought on former Yves-Saint Laurent CEO Paul Deneve to work on "special projects."